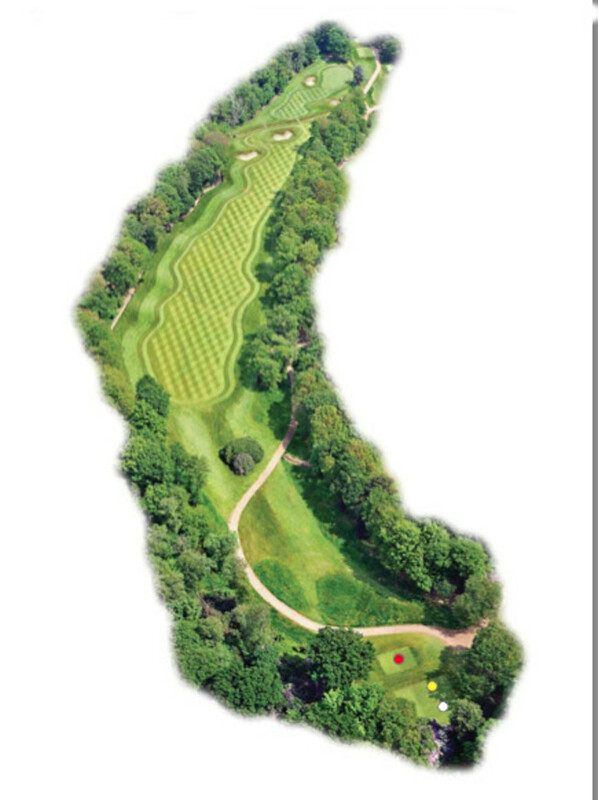 15 :: Coombe Hill Golf Club welcomes visitors from all over the world to enjoy in the delight of meeting the challenges of one of Englandâ��s most highly rated and traditional courses. A real risk/reward par 5! A drive aimed overthe edge of the right hand tree line will see the ball to the preferred left hand side of the fairway. Now there is a decision to be made, to go for the green in two or lay up and play on for three? There are two cross bunkers and a ditch that runs across the fairway and tight up against the right hand side of the green that must be taken into account if you are going to go for the green in two! Laying up short of the two cross bunkers and leaving yourself around 120 yards in is the best option if you cannot make it in two!